Zulekha Hospital Sharjah introduced a dedicated helpdesk for Dubai Police staff & Family members as a valued service for their workforce. 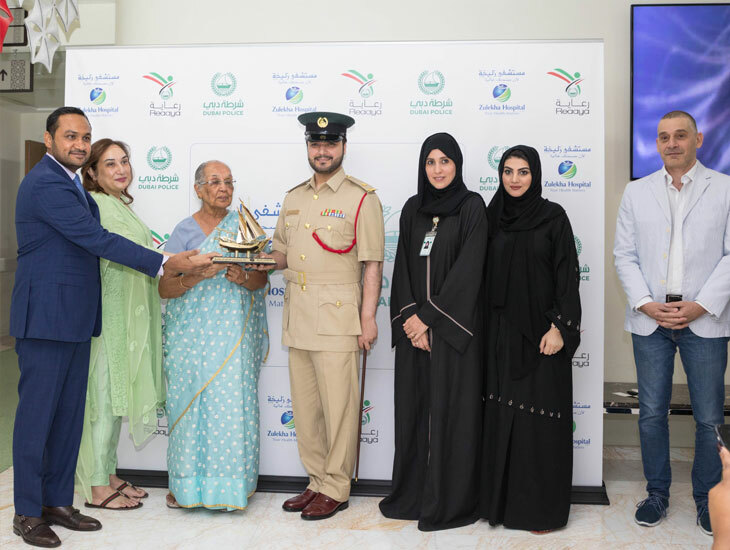 This initiative for the guardians of safety and security in the region is being taken by Zulekha Hospital in association with Neuron, the administrator of the Reaaya Health Care program that insures the Dubai Police workforce and their families. 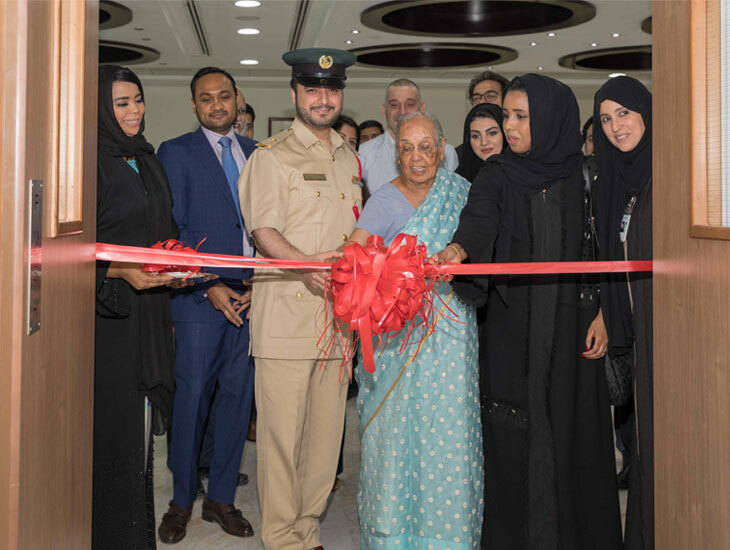 The helpdesk was launched by Founder and Chairperson Dr. Zulekha Daud; Managing Director Mr. Taher Shams and Co-Chairperson Mrs. Zanubia Shams along with Major Dr Khaled Al Behandy, Dubai Police Health Insurance Department; Mr. Ziyad Faour, Head of Marketing, Neuron and other management officials.